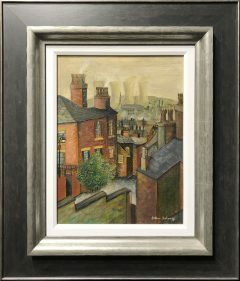 Arthur Delaney was born in Manchester and is arguably the best of those who followed the lead given by Lowry in depicting scenes of urban Manchester. His family background was theatrical, with his mother being a dancer and his father the famous comedian Frank Randle. At the age of 13 he joined a textile design studio in Manchester where he worked for the next 32 years. He married his childhood sweetheart, Joan Campion, in 1967 and they had four children. However he started to paint as a means of relaxation. There were two great influences in his life that were to effect his own development as a painter. 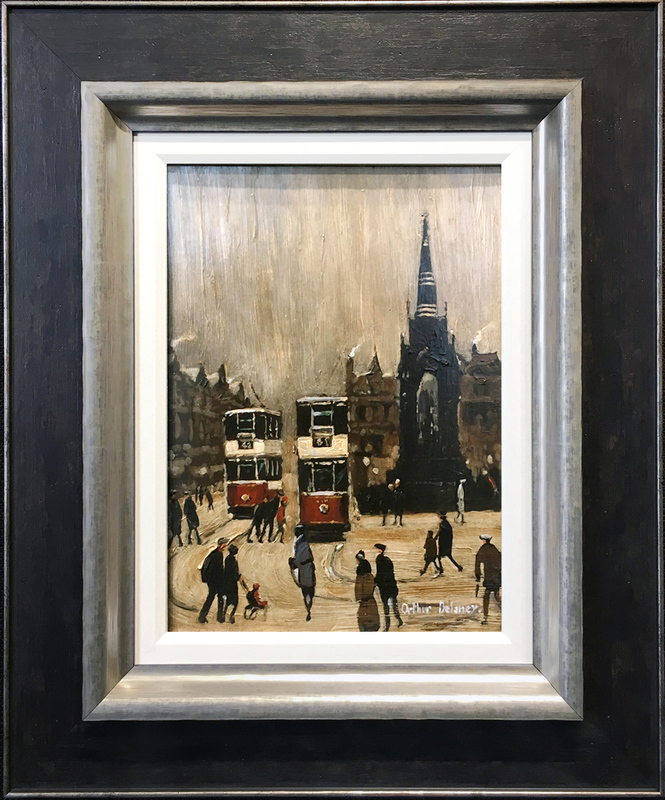 One was the work of his friend L. S. Lowry. The other was the memories of the happy years he spent as a boy in the Manchester of the 1930s with its smoke-laden skies. Rattling tramcars and gas lamps. 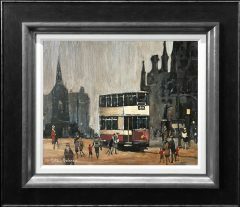 Lowry’s work made him aware of the many special qualities of the north. 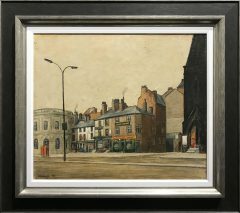 Soon he began producing street scenes and industrial landscapes. However Arthur Delaney paintings were not stylised but a true likeness to their location. He set out to capture the atmosphere of the 1930s and all of his paintings capture the nostalgia of the period. He had numerous exhibitions in Manchester and exhibited at the Royal Academy. 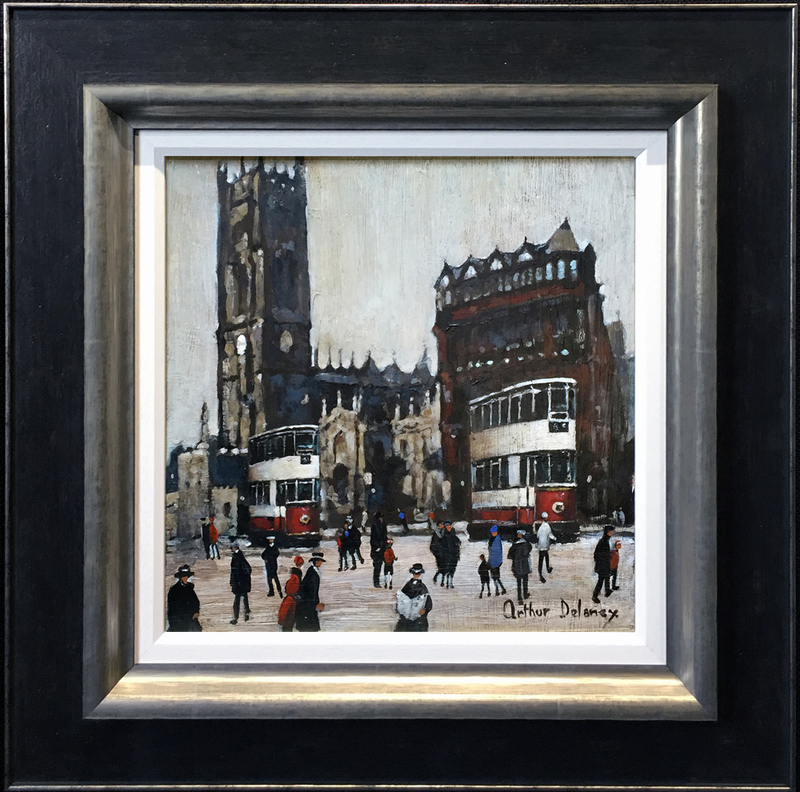 His paintings have proved enduringly popular with collectors.